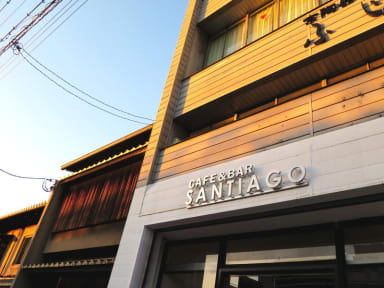 Santiago guest house Kyoto & Café, designed with contemporary Japanese twist, was opened on April 2013. All bunk beds are locally made in Japan and are equipped with a curtain, a security box, an electrical outlet, a night light and a cosy memory foam mattress. We offer free WiFi on all floors, , private security lockers, a coin operated washing machine, a coin dryer and other amenities like towels for a small fee. We are glad to store your luggage on the day of your arrival if you should arrive before check-in time. Our Santiago Café will serve as a common space for our guests from 2018 in March. We offer many kinds of alcoholic beverages (like cocktails, Japanese Sake, World's Beers, plum wine and so on) at a discounted price for our guests. At our café we hold parties for our guests at times where you can make heaps of friends from all over the world. The café offers pancakes, French bread and fresh coffee for breakfast. 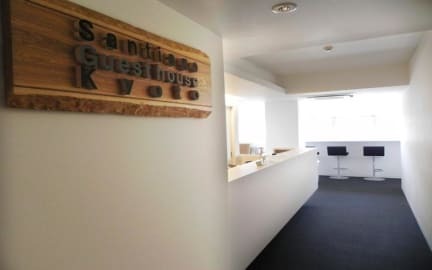 Santiago Guesthouse Kyoto will make your stay in Kyoto unforgettable! We don't accept payments by credit card at the guesthouse. A different cancellation policy applies. A credit card payment will be requested after booking is confirmed. Modifications and refunds will not be available under any circumstances (such as cancellations, no-shows, etc.). Please contact the hotel for more information. Contact information can be found in the booking confirmation.